Most Attraction of the trek:Touching the Mountain Annapurna and Machhapuchhre (Fishtail Mountain). Annapurna base camp Trekking is one of the popular trekking destination and trekking trail that takes your journey into diverse landscape and culture complete with rich mountain vistas, terraced fields, quaint Gurung villages and a wide variety of flora and fauna. The area is fully surrounded by snow-capped mountains like Mt. Annapurna (8091m) of Nepal which is the 10th highest mountain in the world. The journey takes you to the altitude around 4130m/13549ft. Anapurna base camp walk also leads you to the heart of Mt. 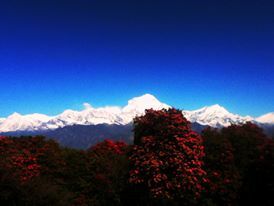 Dhaulagiri (8167M) and Mt. Annapurna I (8091m) which are the main two highest mountain seen from the trekking route. 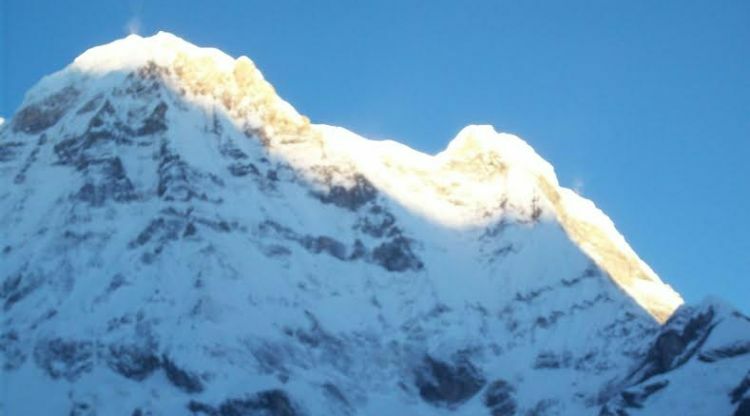 WHAT CAN YOU SEE THERE IN ANNAPURNA BASE CAMP TREKKING? On the way to Annapurna Base Camp trek, you are fully welcome into the deep forest along with pink and red rhododendron (Nepal’s national flower), some flora and fauna, and small fluttering Buddhism flags. You will see there that the villages around Annapurna Base Camp are covered by typical Gurung and Magar culture. On top of that, you will get a chance to observe Gurung culture. The base camp trek of Annapurna offers magnificent views of entire Annapurna ranges. An entire panorama of the Himalayan mountain range including Mount Dhaulagiri (8167m), Annapurna I (8091m), Mount Machhapuchhre (6993m), Nilgiri (7061m), Annapurna South (7219m), Annapurna II (7939m), Annapurna III (7555m) and Tukuche (6920m) could be seen along the trail. 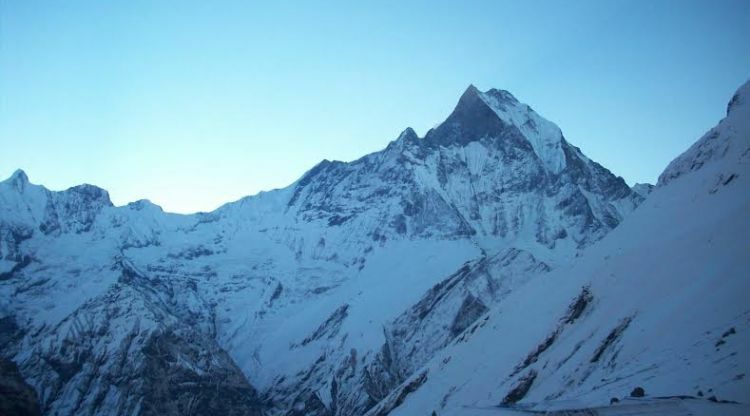 HOW TO GET INTO ENTRY POINT OF ANNAPURNA BASE CAMP TREKKING? Firstly upon your arrival to Kathmandu, you will have a splendid sightseeing tour around Kathmandu city( Boudhanath, Swayambunath ( monkey temple), Pashupatinath) and on the next day you will have a short fly 30minutes from Kathmandu to Pokhara or either you will have seven hours taking land service( tourist bus) to Pokhara. Then on your arrival to Pokhara, a sightseeing program around Pokhara is there. So next morning soon after breakfast, you will have private transport to reach the destination Nayapool which will take around 1 hour. Then from Nayapool, your journey to Annapurna Base Camp starts. WHAT TYPE OF ACCOMMODATION IS THERE IN ANNAPURNA BASE CAMP TREKKING? During your stay in Kathmandu and Pokhara, you will have accommodation services according to your choices. Mostly accommodations over ABC or Annapurna Sanctuary Trek offer a twin sharing basis normal lodge. Single supplement will also be served on request but the extra amount should be added. And while on the trek, you will accommodate in tea houses. Although the single room and twin sharing basis are also available on the higher elevation because in high season trekkers are full. 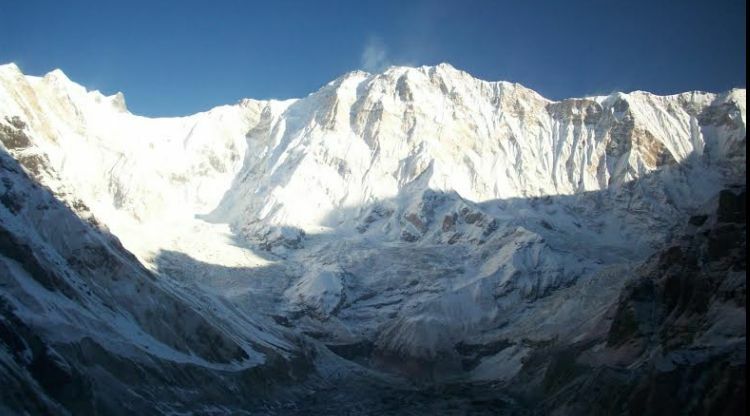 WHAT IS THE BEST TIME FOR THIS ANNAPURNA BASE CAMP TREK? 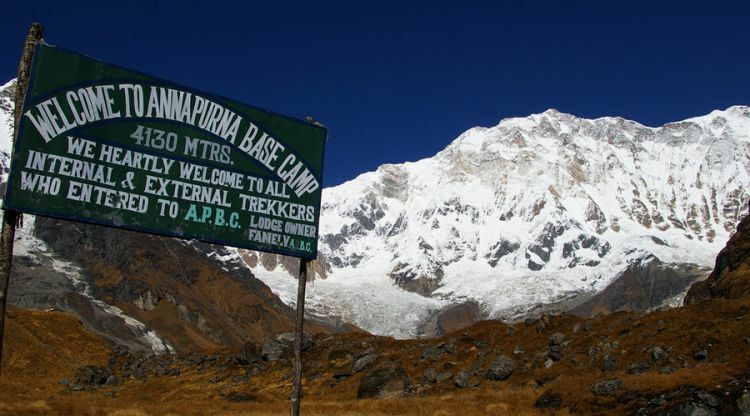 Autumn (Sept. to Nov.) and spring (March to May) are the best seasons for the Annapurna Base Camp Trekking. The weather is sunny and warm with outstanding views. If you wish to avoid crowds and enjoy some alone time with nature then taking this trip during winter (Dec., Jan. and Feb.) could also be an option. However, the temperature during winter could be harsh for most guests. Trekking in the summer or Monsoon seasons (June to Aug.) will be affected by rain but the summer trek could be a boon for a keen botanist. Day 07:Tadapani to Chhomrong 2170 m.
Day 08:Chhomrong to Bamboo 2310m. Day 09:Bamboo to Deurali 3200m. Day 10:Deurali to Annapurna Base Camp 4130 m.
Day 11:Annapurna Base Camp to Dovan 2600m. Day 12:Dovan to Jhinudanda 1750m. Day 13:Jhinudanda to Pothana 1890m. Day 17:International Departure for onward destination, If the above Itinerary doesn't meet your needs.We can design individualized trekking,tours plans base on your desire and Private departure are available everyday upon your request. 11 nights twin sharing lodge to lodge accommodation in the mountain (basic but neat and clean).